There’s nothing like good, clean air to liven up your day! As local residents of Colorado Springs, CO my team and I know how…fickle the air can be around here. Sometimes it’s cold and dry, and sometimes it’s warm and humid. 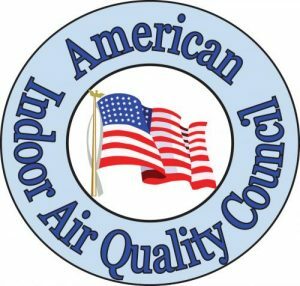 The problem is that these weather changes affect indoor air quality, which can lead to mold-friendly conditions and other respiratory issues. Give us a call—we’re your regional experts in high quality air! “Why should I mold-proof my HVAC?” Your HVAC (heating and air conditioning) system truly acts as the “lungs” of your house or property. Duct work is highly susceptible to mold and mildew because of condensation in the system. Our HVAC treatments are always properly exectued and tailored to Colorado homes & businesses: cleaning from the fan to the vents, including the trunk line. The Mold Proof Service: We also provide the Mold Proof service for your HVAC to prevent future mold growth! Repair Work: We have the ability to deal with any situation that we find, and give you a great solution, including rebuilding and repairing structures and HVAC if needed. The Mold Proof Team: As part of the Mold Proof team, we have access to some of the industry’s best tools, methods, training, and products for dealing with mold, mildew, alergens, algae, and other contaminants. Insurance: We are insurance claim administrators, so if we find a major issue in your home, we can work directly with your insurance company. Structural Drying: We offer a specialized service in Structural Drying as well. Many homes and office buildings can become overly moist and simply stay that way, becoming breeding grounds for bacteria. We can provide expert drying services, complete with testing, equipment and ongoing maintenance to make sure that your building stays at a safe humidity level. Ask us how we can improve the air you breathe in your home! Act quickly if someone in your home or office suffers from allergies to various pollens, if you have pets in your home, or if there are smokers in your home or office.